Investing in quality brushes is so important when it comes to makeup, especially if you’re a professional starting out. To make your life a little easier by saving you time and money, I suggest investing in Sigma’s Chrome Kit because of their price point, quality, and packaging. 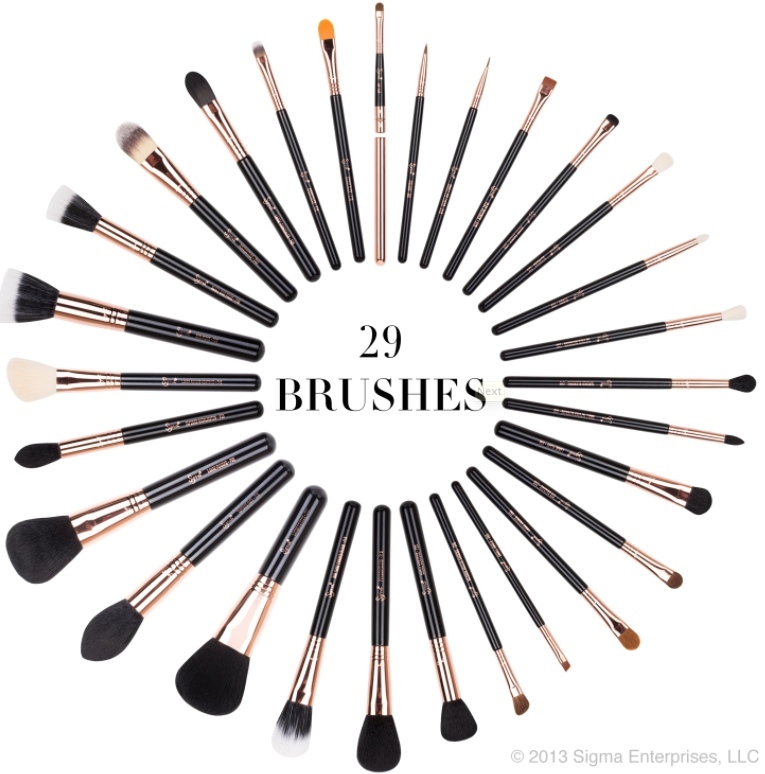 This kit includes 29 brushes for $417 plus 10% off with discount code SONA. When I was an artist starting out, I didn’t have the opportunity of simply buying a brush set like the one Sigma now offers. Honestly, I had to gradually build my own brush set by buying the brushes individually. It took me two whole years and cost me about triple the price of the chrome set. Realistically, the chrome set is very comparable to Mac brushes when it comes to quality and you get every brush you’d need in a kit. It is also convenient because it comes with a brush holder that can be used on set. 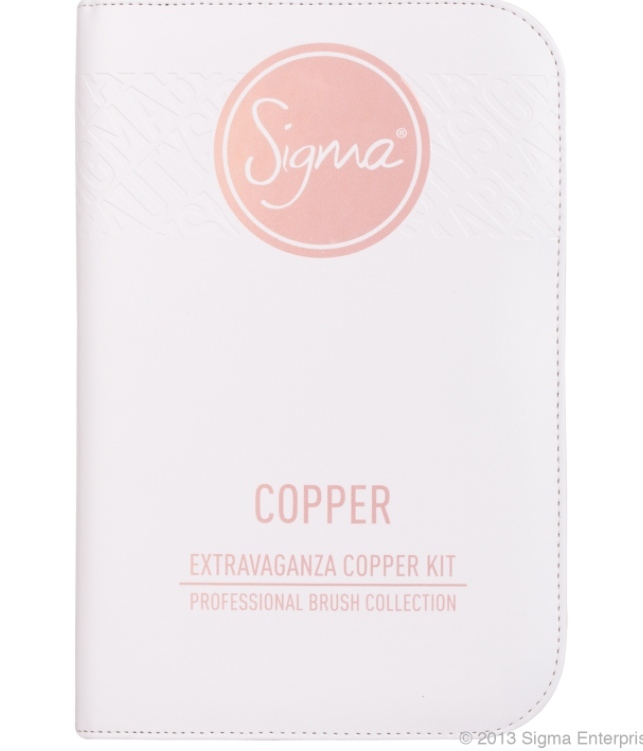 The only thing I would add to this set is Sigma’s F80 Kabuki brush, since I found it to be a staple in my own kit. The F80 really blends foundation so naturally and beautifully, but other than that the chrome set has everything you would need in your makeup kit! Sona ! I love reading your blog, your hair experience with Elle seemed to be such a fun and beautiful experience for you ! Continue striving on your blog and YouTube channel, for I shall continue being a fan ! Love your style, and outlook in the fashion world and beauty world ! Thank you for what you do ! -xoxo Miami loves you ! Thanks for the wonderful tips on beauty and style. I’m always checking in on ‘The latest w/ Sona”. We appreciate you. Keep doing your thing. I’m loving all your tips and have been motivated to invest more on the quality of product than quantity. Drug store make up and hair products are fine but nothing beats some of the more expensive branded essentials. I have found if you as for some samples they’ll usually give you some to try out. 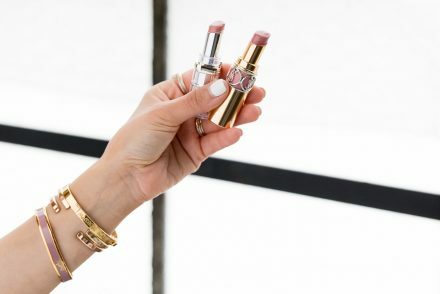 One thing you have to all try is a lipstick called Lipscence, it’s amazing what a clip on it. You apply 3 coats of the colour then the gloss and you end up with smudge proof, water resistant and it doesn’t leave any marks. You can even put on different coloured layers to make some amazing colours, it’s so cheap for what it does and the ingredients are amazing too. Oh and the best part if the above wasn’t enough, the colour stays on for up to 18 hours! Im still trying to figure out wherr you got that double sided brush which you use in almost every video. I made a list of brush sets “options” for my husband to get me for Christmas and this made the list! The It Cosmetics double sided brush that you recommended is AMAZING so I trust your recommendations! memperoleh apa yang anda butuhkan dengan mudah. Game taruhan togel juga akan selalu menyediakan anda penghasilan yang sangat fantastis. mendapatkan sesuatu yang istimewa nantinya. and really fie stuff designed for readers. want too encourage you to ultimately continue your great job, have a nice day! generate a very good article… but what can I say… I hesitate a lot and never seem to get anything done.